(CBS News) Straight from the horse's mouth, it's official: Donald Trump will not be speaking at the Republican National Convention in Tampa, Fla., later this month. Following nebulous reports about what Trump's role at the party's nominating ceremony would be, the real estate mogul-turned-reality TV star took to Twitter to clear it up: "The failing New York Daily News knowingly incorrectly reported that I wanted to speak at the Republican National Convention--wrong!" he wrote Friday. "As we told the @nydailynews," Trump continued, "I was asked to speak at the RNC but said no, because I will be doing something much bigger - just watch!" What that "something bigger" is will remain under wraps for now, at the request of Mitt Romney's campaign, Trump spokesman Michael Cohen told CBS News. But he noted his boss will play "a huge, huge role" that will "certainly be memorable for the convention-goers." The event's venue will be on-site at the convention, at the Tampa Bay Times forum. "It's going to be unique, to say the least," Cohen said. "It's been something that the Romney campaign has been contemplating now for quite a period of time, and for now, they've asked us not to talk about it until they decide to make it known to the public." Trump endorsed the presumptive Republican nominee at his Las Vegas hotel just days before Nevada's primary in February, in a similarly chaotic rollout than began with erroneous reports that Newt Gingrich - not Romney - would be the beneficiary of the billionaire's support (and money). 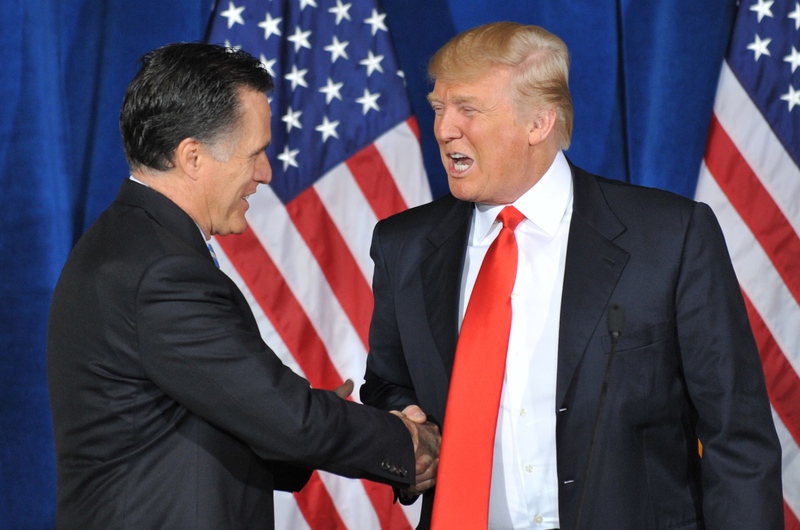 But while Romney at the time said he welcomed the endorsement, Trump's penchant for controversy has long been considered a potential liability for any political campaign. During the months when Trump himself toyed with the idea of throwing his hat into the campaign ring, he made "birtherism" his signature issue, incessantly calling on President Obama to release his long-form birth certificate to quell conspiracy-based rumors that he was born in Kenya. Still, many Republicans say they continue to value what Trump brings to the party. Appearing recently on CNN's "Starting Point," Republican National Committee chair Reince Priebus said that while he didn't know what Trump's role at the convention would be, "I do know that he's important to us and that he's somebody that we appreciate, because he's telling us the truth as far as where we're at in this economy." Trump is scheduled to receive the Statesman of the Year award from the Sarasota County GOP on Aug. 26, the day before the convention kicks off.